Fifteen years after the 9/11 terror attacks, the Arab world is unrecognizable; never-ending scorched earth barely sustaining millions of scorched souls. The United States is still fighting the two longest wars in its history spawned by the terror unleashed on that sunny September day. What we know for sure is that President Barack Obama inherited the two wars from President George W. Bush and he will bequeath them to his successor come January 2017. Osama Bin Laden got his well-deserved comeuppance, but al-Qaeda is still resilient and fighting in a number of crumbling countries on two continents. Bush’s broad “War on Terror” and its various metamorphoses such as the outlandish “Islamo-Fascism” gave way to Obama’s war on the equally vague (Countering) Violent Extremism, then the latest incarnation of the most violent of all violent terror groups, the self-styled Islamic State of Iraq and Syria (ISIS). Fifteen years after America’s first encounter with absolute terror in the era of globalization, and five years into the civil wars in Syria, the US is still scrambling to adopt a coherent strategy to deal with the Syrian regime that pursued a Sherman-like scorched earth approach to the uprising thus turning the conflict into the single most important magnet in the world for the bloody killers of ISIS and the al-Nusra Front. Fifteen years after the beginning of the war in Afghanistan, and 13 years after the invasion of Iraq and following untold Iraqi losses, major American casualties, and tremendous financial costs, the Taliban cannot be defeated and very likely will shape Afghanistan’s future, and Iraq is still tearing itself asunder, with Iran, and not America as the outside power with the most influence in the land between the two rivers. Fifteen years after we got a glimpse of the apocalypse in New York, terror inspired and organized by ISIS and al-Qaeda has become a frequent visitor to European and American cities. Who could have imagined at the beginning of the 21st century that in few a years, large swaths of Syria and Iraq, including ancient cities like Mosul and Palmyra will be occupied and sacked by the hordes of a self-styled Caliphate? Who could have foreseen, that Yazidis, Assyrians and Christians of different ethnic backgrounds will be killed en masse in Iraq and Syria, just as they were killed en masse a century ago? Fifteen years after many Americans asked “why do they hate us”? The answer, if there is a compelling one, is still illusive. Thirteen years after the US invasion of Iraq, many Americans, Iraqis and others in the region are still grappling with the reasons that led to the invasion and wondering why such a traumatic endeavor could be undertaken in such cavalier fashion and why not a single senior American official was held accountable? Fifteen years after 19 angry young Muslim Arabs killed almost 3 thousand US citizens, America’s relations with some Arab states, including ostensible allies are strained and tense. Many Arabs still entertain conspiracy theories about America’s real intentions in the Middle East, and many Americans, judging by opinion polls and support for the Republican candidate Donald Trump fear and distrust Arabs and Muslims. And the candidate of a major party, publicly calls for banning Muslims from the US and advocates still, the theft of oil from Iraq and Libya. So much for American “Public Diplomacy,” the struggle to win Arab hearts and minds and the bygone Bush era promotion of the “Freedom Agenda” in the Arab world along with the naïve belief that elections are the key to the success of such agenda. After those tumultuous years, one can discern American fatigue of things Arab and Muslim, of resentment over the tendency of Arab officialdom (and many intellectuals) to blame outsiders for their failings, to wallow in victimhood and Arab resistance to engage in introspection or self-criticism. Many Arabs believe that when the United States acts as omniscient and omnipresent in the region, invades a country and tries to re-create it, as it did in Iraq, or lead (even from behind) an international coalition to topple the Libyan despot, and when it deploys tens of thousands of troops in the region, then it cannot and should not act as if it did not contribute to the current unraveling of some Arab states. There is a growing sense, in some Arab countries, particularly in the Gulf and in Egypt, that the region may have entered the post-American era. Most of the Arab states, particularly those born in the crucible of the First World War and its aftermath, have been afflicted with that malady that has marred the Muslim world for most of its history which is the issue of political legitimacy, or lack thereof, the very prerequisite for good governance. The search for elusive political legitimacy became a dominant feature of Arab politics after formal independence, especially in those states that have suffered from military coups and lacked strong state institutions and had fractured - heterogeneous societies such as Syria, Iraq, Lebanon, Algeria, Libya and Yemen. The unraveling of these countries was slow, with sudden spasms of violence and low intensity civil strife. One historic milestone that helps explains the current unraveling of the Levant, and to a lesser extent Iraq, is the 1967 Arab defeat in the war with Israel. That monumental shock has jolted the very foundations of the societies of Egypt, Syria, Lebanon, Jordan (and the Palestinian territories of the West Bank and Gaza), leading to political, military, societal and cultural changes that are still felt today. The 1967 defeat hastened the coups of Iraq in 1968 and Libya in 1969; in fact, there is a thin line of causality between these two coups and the current upheavals in the two countries. The defeat of three Arab states led to the emergence of a militant Palestinian movement, the Palestine Liberation Organization (PLO), which presented itself as the revolutionary alternative to the humiliated Arab states. The military attacks conducted by Palestinian factions from bases in Jordan and in Lebanon against Israeli military (and civilian) targets in the occupied West Bank and Northern Israel led to military escalation on both fronts with significant Israeli incursions in 1968 and 1969. Palestinian overreach and violations of Jordanian and Lebanese sovereignties culminated in the extremely reckless decision by the Popular Front for the Liberation of Palestine to simultaneously highjack three airplanes to a remote airstrip in Jordan, an act that precipitated a violent Jordanian response that forced the PLO factions in 1970 and 1971 to leave Jordan and establish themselves politically and militarily in Lebanon, a state weaker than Jordan. The unsuccessful limited Syrian intervention on the side of the Palestinians in the bloody September 1970 conflict with Jordan led to the “corrective movement” of Syria’s then-defense minister Hafez al-Assad, thus beginning his harsh 30-year rule. There are complex political, demographic and economic reasons behind the Lebanese civil war that began in 1975, but the spark that lit the brittle structure of the Lebanese state was the opposition of some Lebanese parties to the armed Palestinian presence in the country, and the steep price the country was paying because of Israel’s violent reactions which included the deliberate destruction of civilian targets and infrastructure, such as destroying Lebanon’s fleet of civilian carriers at Beirut International Airport in 1968. Lebanon’s civil war raged intensely for two years, until the Syrian military intervention in 1976 contained the conflict. The war was “officially” ended when the combatants signed the Taif agreement in 1989; but in reality what followed Taif were series of truces, some of them would last for few years, but Lebanon has never experienced genuine peace since 1975 and the underlining reasons for the conflict were never addressed. The involvement of the Palestinian factions in Lebanon’s civil war (something advocated by some Lebanese and Palestinian factions) was disastrous to both sides, a development that allowed Syria to further dominate Lebanon and led to Israeli incursions culminating in the devastating invasion of 1982 which ended the armed Palestinian presence in most of Lebanon. A few months before the Israeli invasion of Lebanon, Syria ended four years of grinding low intensity civil strife, in which the Alawite dominated regime fought an armed Sunni Islamist rebellion that threatened the existence of the Assad regime. The violence reached its ugly crescendo in the massacre of at least 10,000 people in Hama in February 1982 and the demolishing of parts of the old city. The sectarianism of that conflict was to be magnified several times almost 30 years later. In the early 1990’s Algeria went through a very bloody and nasty civil war in which both the military dominated government and the Islamist rebellion showed a tremendous proclivity toward using unbridled violence. In neighboring Iraq, an ambitious rising despot, Saddam Hussein, fearing the Islamic Revolution in Iran, decided to invade the country that is three times the size and the population of Iraq. The Iraq-Iran war, which began in September 1980 and ended in 1988, became the longest conventional war in the 20th century and claimed the lives of more than half a million people on both sides. Iraq, with tacit and open material and political support from Arab states, the Soviet Union, the US and France, used chemical and biological weapons against Iranian targets. Iraqi propaganda initially played up the old Arab-Persian rivalry then turned to heighten the Sunni-Shiite tension. There is a clear line of causality between the Iraqi invasion of Iran and the country’s current multiple conflicts. The invasion of Iran bankrupted Iraq, which encouraged Saddam Hussein to commit his second historic blunder in a decade and invade Kuwait in 1990, which he saw as the largest nearby bank to rob. Kuwait was liberated in 1991 in an international war led by the United States. Iraq was then subjected to tough sanctions and the US and its allies imposed a no-fly zone in northern Iraq to protect the Kurds. The decision by the George W. Bush administration to invade Iraq in March 2003 contributed mightily to the deepening of Sunni-Shiite cleavages and bloodletting that ensued in the following years. 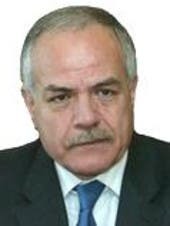 The defeat of ISIS and the liberation of Mosul, which are expected in the next few months, will not lead necessarily to a reunified Iraq; on the contrary it could deepen identity politics and cause additional friction between Sunnis and Shiites as we have seen following the liberation of other Sunni majority cities and towns. The Kurds, who occupied the disputed important city of Kirkuk, following ISIS’ occupation of Mosul, will not relinquish the city without a tenacious fight. The Kurds, who have been enjoying self-rule since 1991 will fight to establish their own state. One could say that the train of Kurdish independence has already left the station. When and where it will stop remains to be seen. Fifteen years after the two towers of New York were felled as symbols of America’s financial might, terrorism still haunts the United States and Arab states, despite the invasions of Afghanistan and Iraq, the killing of Bin Laden, the restructuring of the American government and the establishment of the Department of Homeland Security and the return of the American military to Iraq. The civil wars in Syria, Libya and Yemen spawned by initial peaceful uprising, are likely to continue for years, in part because of the pernicious role of proxies. One of the most disturbing developments in Syria, which is a direct result of President Obama’s colossal, mishandling of the Syrian tragedy and his dithering and contradictory decisions, has been the emergence of Russia as the dominant outside power in the Syrian theatre. Within a year, Russia, which has used massive brute violence against civilians and militants opposed to the Assad regime, has come very close to convince the flailing Obama administration to agree to the priorities of the axis of Russia, Iran, Assad, including keeping Assad in power for the foreseeable future and to the establishment of a Joint Implementation Center to coordinate US-Russian bombing raids against the al-Nusra Front and ISIS. The complexities of the challenges facing the next American president in the region are daunting. If Hillary Clinton wins, she will pursue the same cautious policies of President Obama, maybe with more vigor and minor changes, but one cannot see major departures. If Donald Trump is elected, he will likely do in Syria what Obama is doing in terms of collaboration with Russia as his new partner, but Trump will do so more enthusiastically. One could see the possibility of a Russian-American condominium in Syria led by Russia if Trump is president. The pressing problems in Syria, Iraq, Libya and Yemen and potentially in Egypt and Algeria will not be very pressing for the new American president, certainly not in the immediate future. Syria will continue to burn, Iraq and Libya will continue their slow unraveling and Egypt will remain adrift. Looking into the next few years, I only see a never-ending Arab scorched earth barely sustaining millions of scorched souls.